For Apple, every year is "magical" and, indeed, "amazing" - but it does look like 2014 will live up to the superlatives. Tim Cook promised "amazing new hardware, software and services" into 2014 - so what can we expect to see coming from Cupertino? What hot hardware should we see at WWDC? Come with us as we pilot the canoe of news down the river of rumour. The only certainties in life are death, taxes and an annual iPhone event. 2014's one is likely to be a biggie, quite literally: even-numbered iPhones tend to get new shapes, and reports of big-screened iPhone prototypes have been getting louder. We'll be adding to our iPhone 6 rumour roundup throughout the year to help sift tiny truths from the sand of speculation. Could the iPhone 6 have a 3D sensor? Apple bought quite a few companies in 2013, and one of the most intriguing is Kinect creator PrimeSense. Its 3D sensing technology can detect 3D objects, recognise gestures and even scan rooms so that when you go furniture shopping, you can check whether items will fit. New iPads are another safe bet, with the next iPad Air likely to deliver improved performance and probably TouchID too. One of the most tantalising rumours is of an iPad Pro, a big-screened iPad that would sit happily between the iPad Air and the MacBook Air. We reckon a 12.9-inch iPad would be an easy sell. Apple's TV set remains the stuff of rumour and speculation, but its Apple TV set-top box is due an update and is likely to go 64-bit in 2014 with the addition of Apple's A7 processor. Difficulties in getting broadcasters on board and the vast differences between different countries' TV industries means that TV is likely to remain Tim Cook's "hobby" for a while longer. iOS 7's support for gaming controllers is beginning to bear fruit, with the first iPhone controllers hitting the shelves just in time for Christmas. More will follow, and we hope they take off: button-mashing is so much more fun than finger-tapping. The controllers also raise the tantalising possibility of connecting to that A7 Apple TV, turning it into a pretty powerful little console. Siri Eyes Free hasn't caused much excitement so far, but that might change in 2014 as iOS in the car comes to a showroom near you. 18 car companies have announced plans to put Siri Eyes Free in their cars, including BMW, GM, Mercedes, Audi. Honda, Volvo, Nissan and Ferrari. Ford, which has its own Microsoft-powered Sync, is notable by its absence. Studying Apple's recent acquisitions provides some interesting clues about the future of iOS. While iOS 8 is unlikely to come with a dramatic visual overhaul so soon after iOS 7 scared the horses, the underlying tech could be getting much smarter and more useful. Apple has bought public transport navigation services HopStop and Embark, business mapping firm Locationary and Google Now-esque personal assistant Cue, whose technology creates personalised agendas by scanning users' email. Who knows, we might even get some of the things on our wish list. According to analyst Ming-Chi Kuo of KGI Securities, whose predictions have been pretty reliable in the past, Apple is working on a brand new MacBook Pro that harks back to the much-loved 12-inch Powerbook: it'll have a twelve-inch Retina display and be thinner and lighter than a MacBook Air thanks to a new clamshell structure. Apparently it's going to "redefine laptop computing" just like the MacBook Air did. Could WWDC 2014 see a new, cheaper iMac? Ming-Chi Kuo thinks so. Apple isn't immune from the global slowdown in PC sales, and plugging the gap between the £499 Mac Mini and the £1,149 iMac could give its bottom line a boost. Details are firmly under wraps, but web servers are already recording visits from computers running the next version of OS X. The iOS-ification of OS X is likely to continue, with OS X and iOS remaining separate platforms but sharing data and features, and OS X's look and feel may well get an iOS 7-style refresh too. 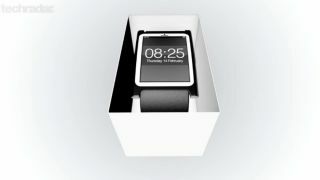 We do love the rumour mill: apparently the iWatch, a product currently made entirely from wish lists and dreams, has been delayed to speed up development of the iPad Pro, which might not exist either. Apple's secrecy appears to be holding, which suggests that an iWatch isn't imminent, but the inclusion of the activity-tracking M7 in the iPhone 5S indicates that Apple's plans for wearable computing aren't just bloggers' excited imaginings.